Another tower could join the forest of new skyscrapers in San Francisco’s Transbay district. New plans for a 44-story highrise at 540 Howard St. call for 149 housing units and 52,403 square feet of office space. An existing three-story building, which houses Temple Nightclub, would be demolished. The site is next to numerous massive projects, including the $2.2 billion Salesforce (formerly Transbay) Transit Center. On a neighboring parcel, Hines and Urban Pacific Development have proposed a 60-story, 800-foot tower with housing, office and a hotel at 550 Howard St., known as Parcel F. Developer Crescent heights has approval for a 495-foot residential tower at 524 Howard St., but the project has been delayed. Rising construction costs have made towers more challenging to build. Warner Schmalz, an architect at Ankrom Moisan, is designing the 540 Howard St. project. The firm said he wasn’t immediately available to comment. property owner Wendy Hemming couldn’t immediately be reached for comment. 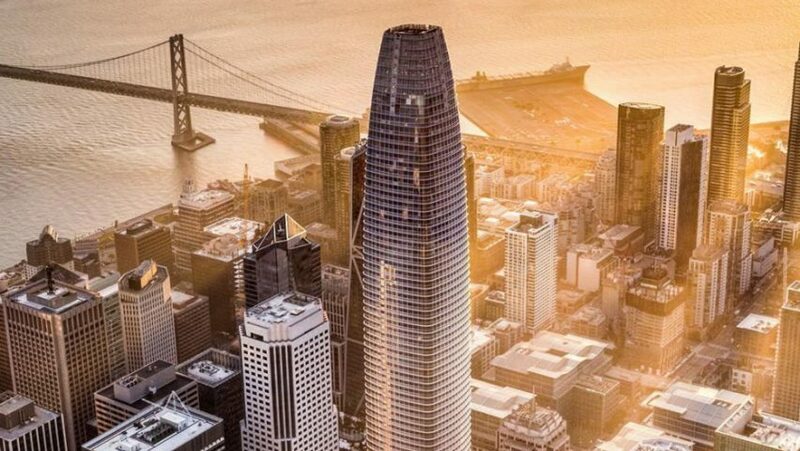 It isn’t clear how tall 540 Howard St. would be, but the site is zoned for 450 feet, or less than half the height of the nearby 1,070-foot Salesforce Tower.